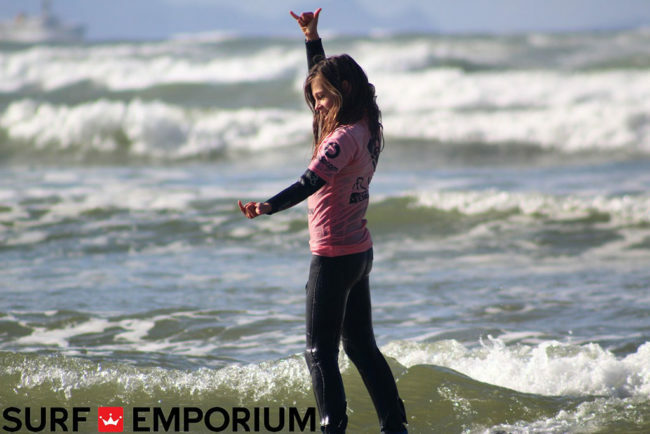 The Surf Emporium store is conveniently located on the Muizenberg beach front, Surfers Corner. Muizenberg is a destination that is internationally regarded as being one of the best learn to Surf an SUP spots in the world. Muizenberg is South Africa’s surfing and SUP’ing nursery and attracts hundreds of thousands of local Capetonians as well as tourists from all over the world. 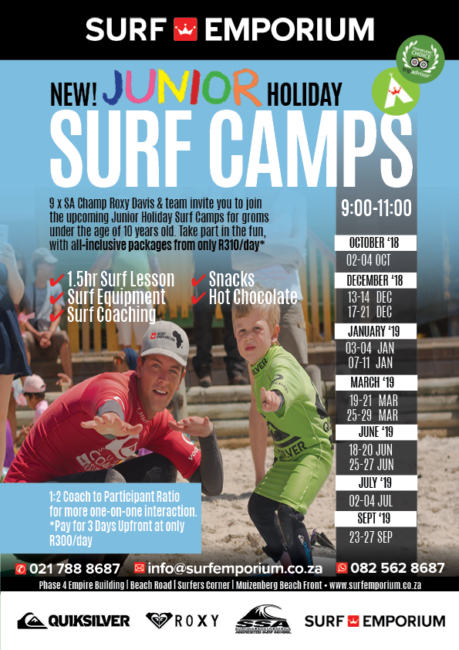 Surf Emporium, founded by 8 x South African Surfing Champion Roxy Davis, offers a far reaching value proposition that includes the provision of Surf and Sup lessons, rental of Surf and SUP equipment, retailer of leading Surf and SUP brands and a Vida e Caffè all under one roof. We aim to provide a family environment where you can share the stoke with us whether it is something you are thinking about trying for the first time or something you have loved for years. Roxy founded her Surf School in 2002 with an umbrella on Muizenberg beach and a clear vision of where she wanted to go with the concept. Her dreams became a reality far sooner than she had anticipated. Growing from a dream of teaching forty girls a week quickly turned into 200 girls within the first Programme intake. The umbrella soon gave way for a share of half a hardware store for storage, and later into opening her own Surf School facility, which she aptly named the Roxy Surf Club.